Chino, California (March 30th, 2018) – The championship-winning performance experts at Jackson Racing are proud to announce further updates to their popular line of cooling products, now including the Track Engine Oil Cooler Kit for the 86/BRZ platform. With added features, this kit is now $695USD. An engine oil cooler is a must have for any track or hot climate vehicle. The FA20 engine in the FR-S/86/BRZ is a finely tuned high compression engine and engine oil temperatures can spike to dangerous levels even on stock cars. 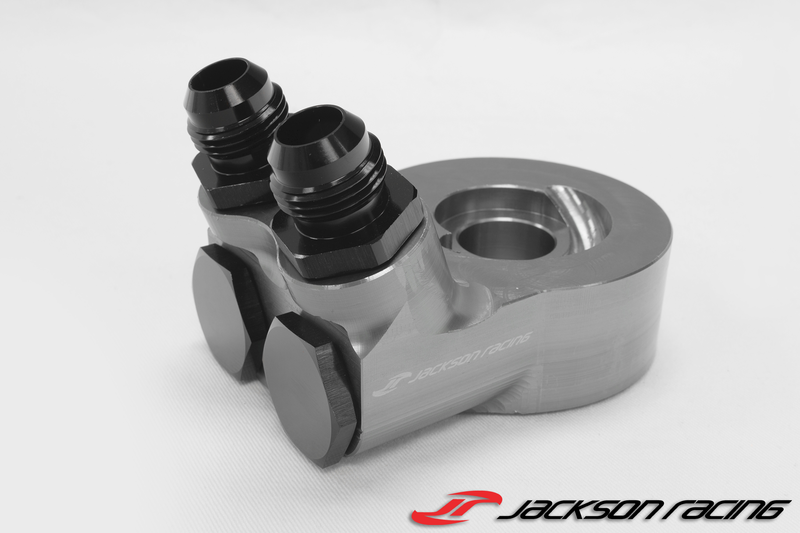 The Jackson Racing Track Engine Oil Cooler Kit was developed in-house and designed to bring optimal oil cooling to the FA20 engine in the most extreme conditions. 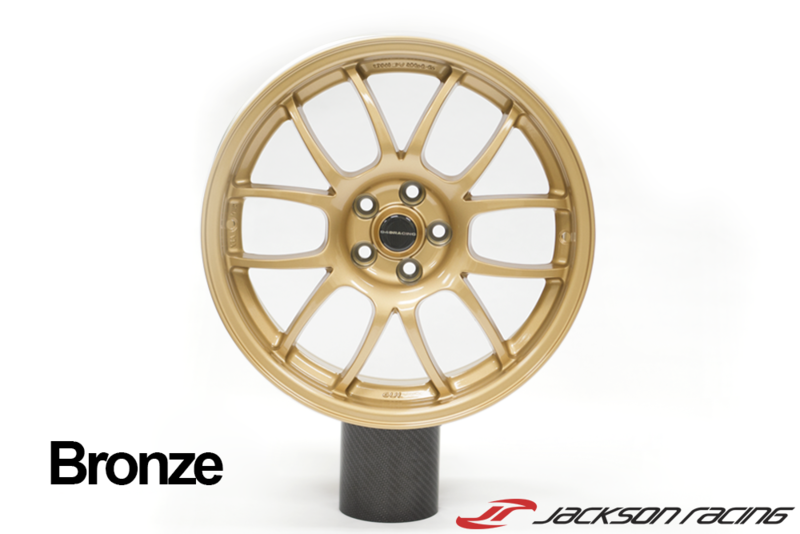 With multiple race wins and championships, Jackson Racing is excited to add more features to the popular 86/BRZ cooling product. The most notable update to the Track Engine Oil Cooler Kit is the new Jackson Racing Oil Cooler Adapter, a proprietary JR design giving customers more adjustability. 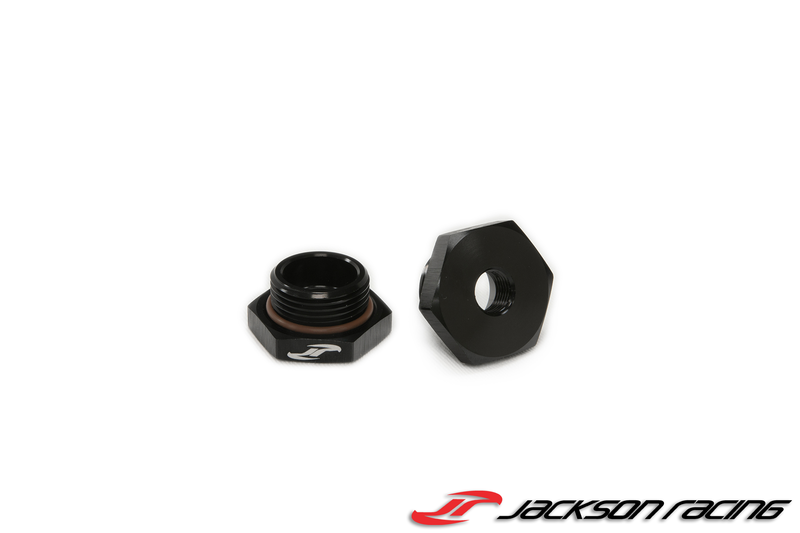 The new JR Oil Cooler Adapter features improved socket relief for filter screw installation and a new O-ring design to improve surface seal. With four M22 oil ports, the oil cooler lines now run to the top on the 86/BRZ application giving clearance for the 2017+ square air box. For those looking to have an additional sensor port for datalogging, 1/8” NPT M22 sensor port plugs are available as an option. The JR Oil Cooler Adapter for the Track Kits also features a built-in thermostat for proper engine oil warm up when cold. 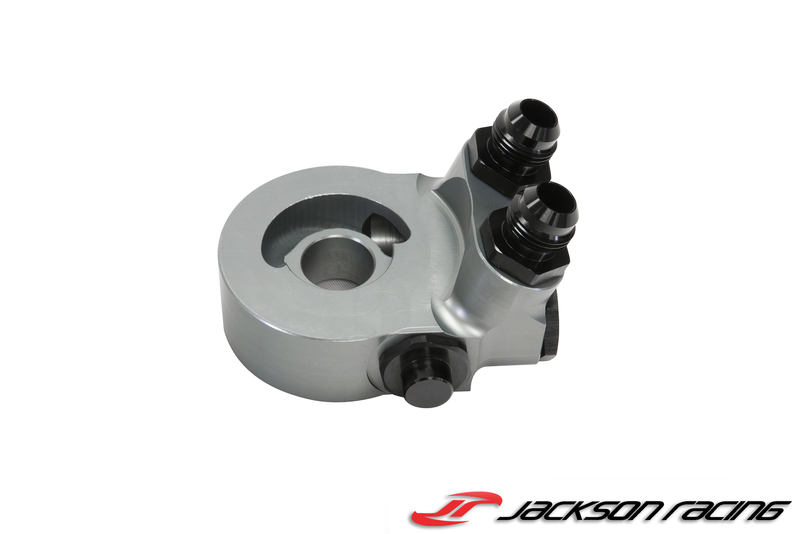 The Jackson Racing Oil Cooler Adapter is completed in new titanium grey anodized finish. The included Setrab 9-Series oil cooler core was carefully chosen and tested to match the demands of the dedicated track/race enthusiast, and is unique to all other systems on the market. With a properly sized core providing improved cooling capacity, the Setrab 9-Series is the right cooler for the job. 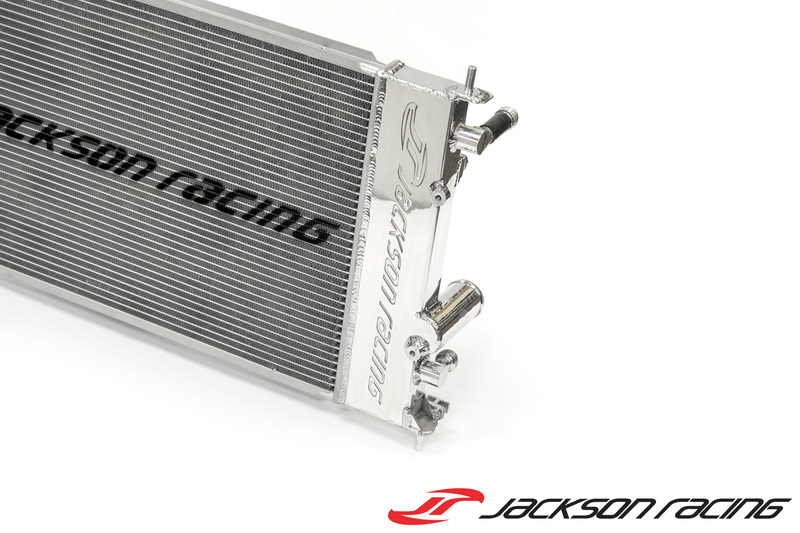 The Jackson Racing Track Engine Oil Cooler Kit has been put to the test by our own championship-winning racing drivers on the street and track, in the worst on track conditions. We are proud to say this system works flawlessly, keeping oil temperatures below 240ºF on track, thus maintaining engine performance throughout on-track sessions. 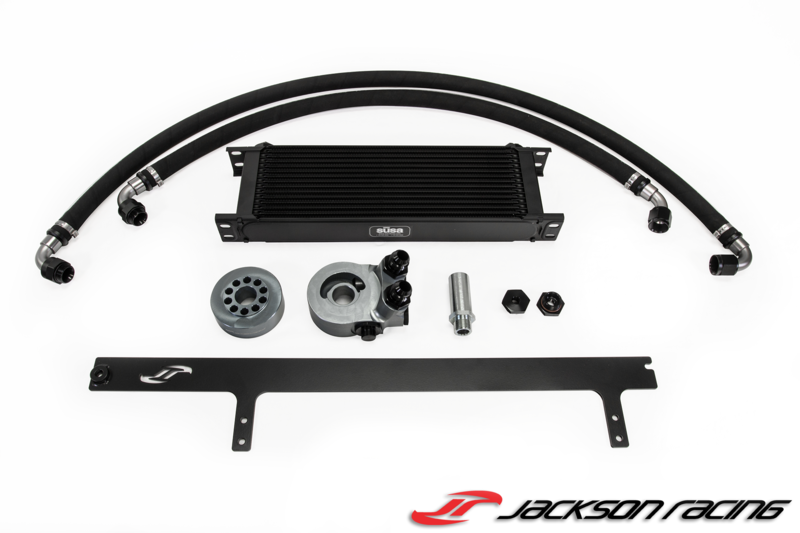 The Jackson Racing Engine Oil Cooler Kit utilizes the same quality engineered mounting system developed for the Jackson Racing supercharger system and uses solid factory-mounting locations, with no drilling/cutting needed. The front mount cooler system locates the engine oil cooler front and center in the bumper area, drawing outside air directly over the core. Q: Is this compatible with my Jackson Racing supercharged FR-S/86/BRZ? 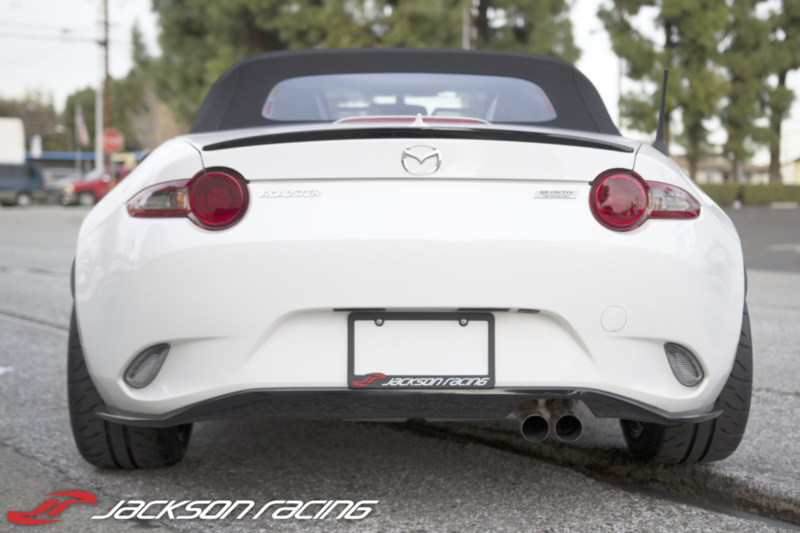 A: The Track Engine Oil Cooler Kit is specifically designed for use with a Naturally Aspirated FR-S/86/BRZ. 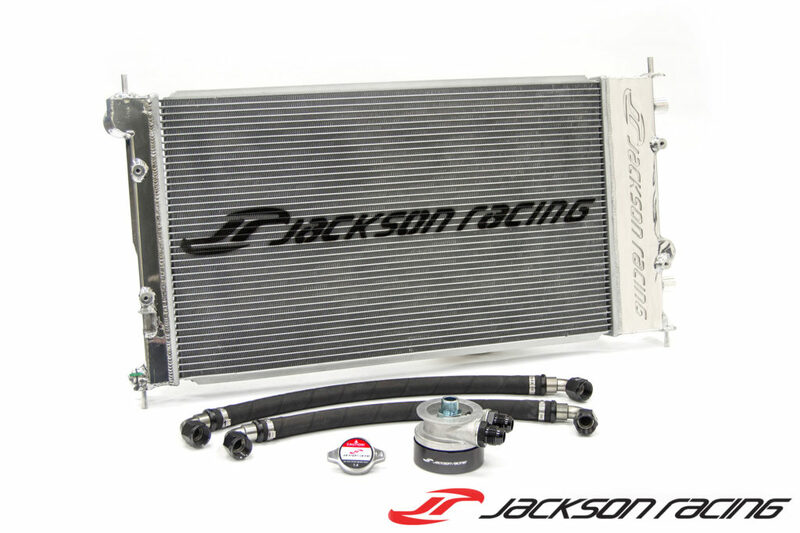 If you are looking to install an oil cooler for your Jackson Racing supercharged FR-S/86/BRZ, we recommend using our JRSC version of the Jackson Racing Track Engine Oil Cooler Kit. Q: Do I need to add more engine oil with the oil cooler kit? 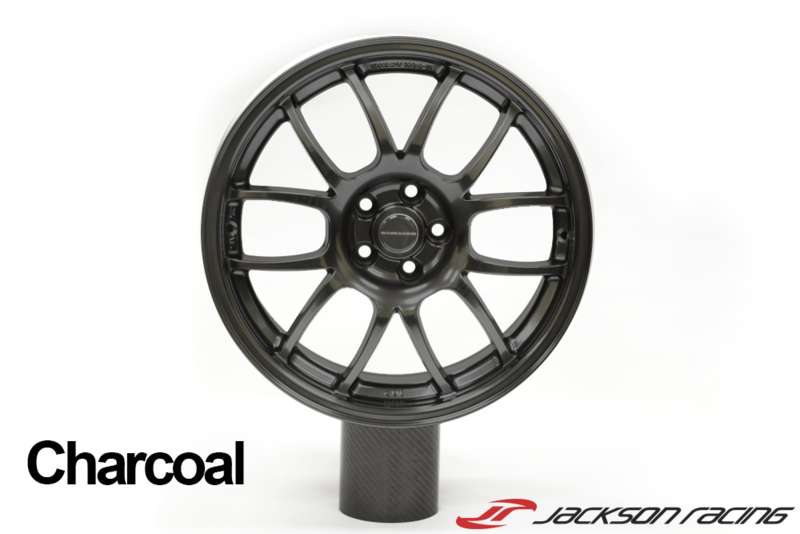 A: Yes, an additional quart of engine oil is required when installing the Jackson Racing Engine Oil Cooler Kit. 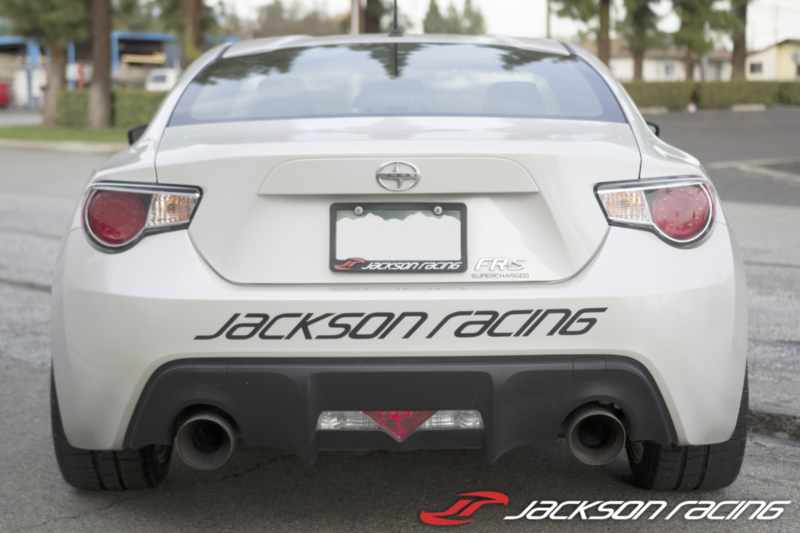 Chino, California (April 25th, 2016) – The championship-winning performance experts at Jackson Racing are proud to launch their new line of cooling products, starting with the release of the Dual Radiator/Oil Cooler for the Scion FR-S & Subaru BRZ. The FR-S/BRZ version is now available for $895.00USD. An engine oil cooler is a must have for high performance vehicles. The FA20 engine in the FR-S/BRZ is a finely tuned high compression engine and engine oil temperatures can spike to dangerous levels even on stock cars. With all types of forced induction being added to the FR-S/BRZ, the need for universal FA20 oil cooling is needed. 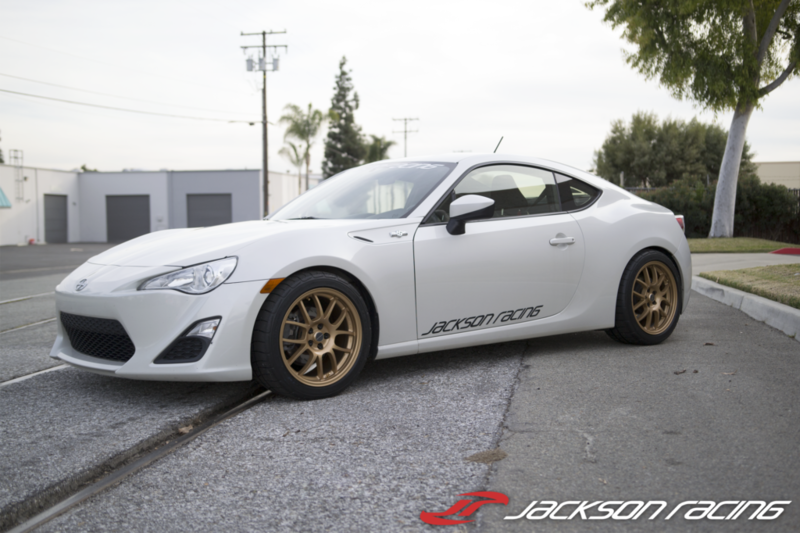 The Jackson Racing Dual Radiator/Oil Cooler was developed in-house in conjunction with manufacturing partner CSF Radiators to be the ultimate solution for FR-S/BRZ Street and Track enthusiasts. 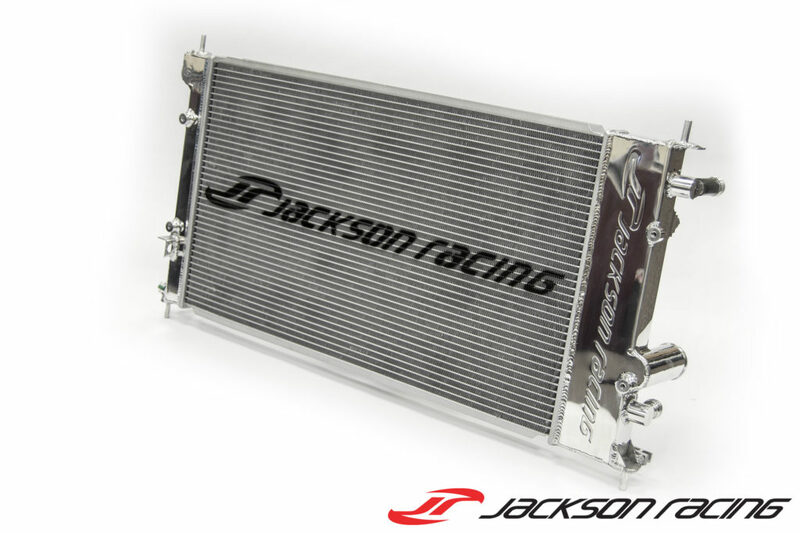 With well over a year of development, Jackson Racing is proud to bring a true “drop in” all-aluminum radiator with built in oil cooler for the FR-S/BRZ platform. No trimming or cutting needed and installs with all OEM components. 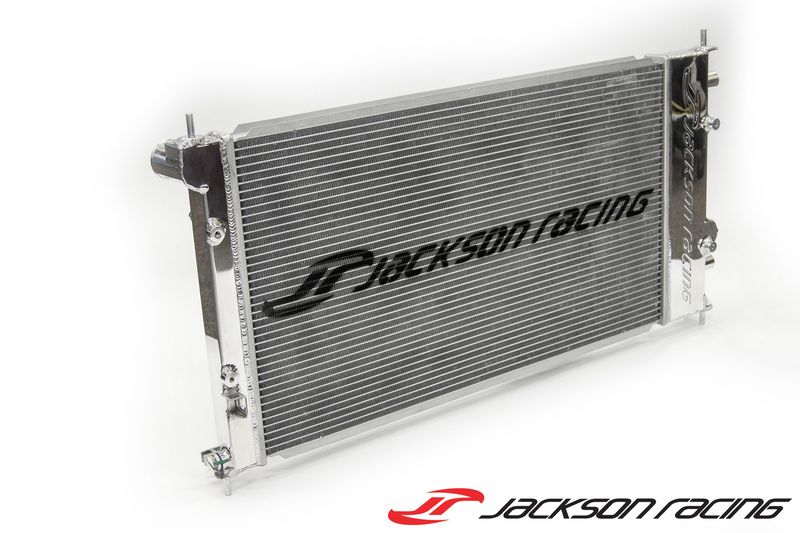 The Jackson Racing Dual Radiator/Oil Cooler includes all necessary components for engine oil connections for a true plug and play solution. 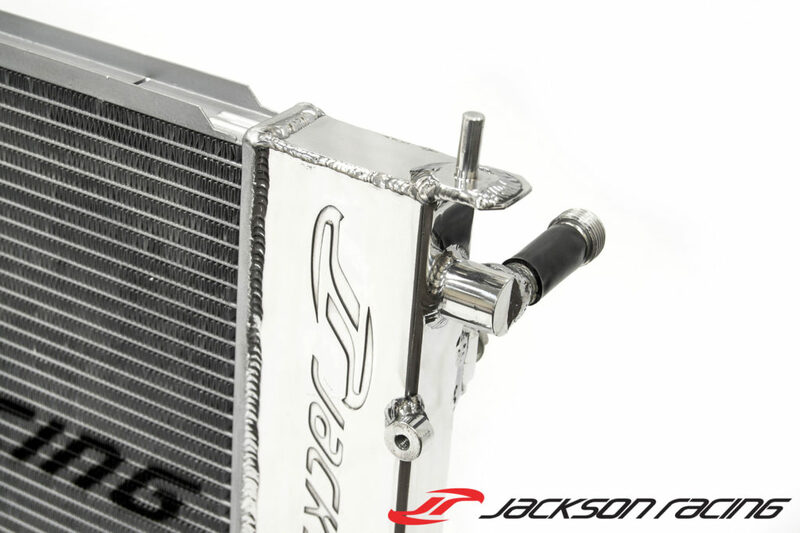 The radiator features a 31mm CSF B-Tube core, with over a 100% increase in cooling surface area. The CSF B-Tube technology boosts surface area by 15% vs standard oval tube cores. The integrated liquid to oil cooler features 10AN fittings for proper flow to and from the engine. 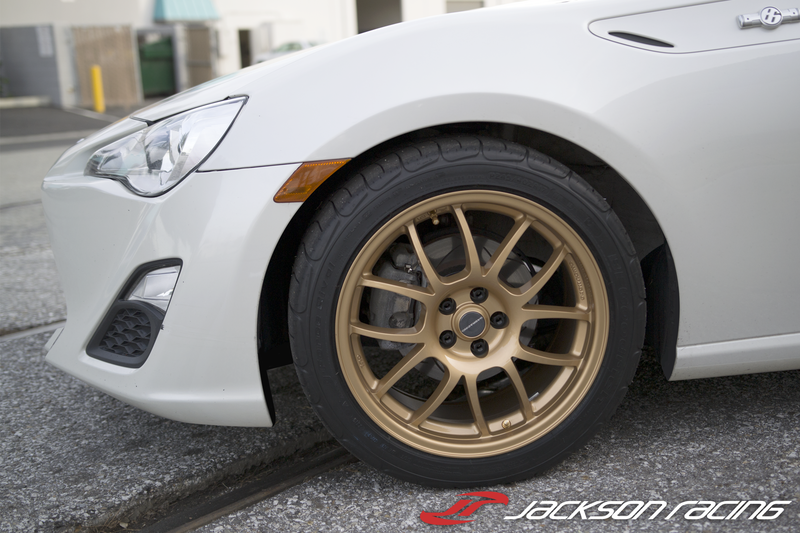 The entire system has been put to the test on the Jackson Racing FR-S test mule for thousands of miles on the street and track, in all types of conditions. We are proud to say this system works flawlessly, keeping oil temperatures within a 30ºF temperature delta, thus maintaining consistent engine performance. Thanks to the large liquid to oil cooler, engine oil is kept at the proper operating temperatures in all environments, whether it is cold startup or a hot day at the autocross. A: Yes, an additional 0.5 quart of engine oil is required when installing the Jackson Racing Dual Radiator/Oil Cooler. 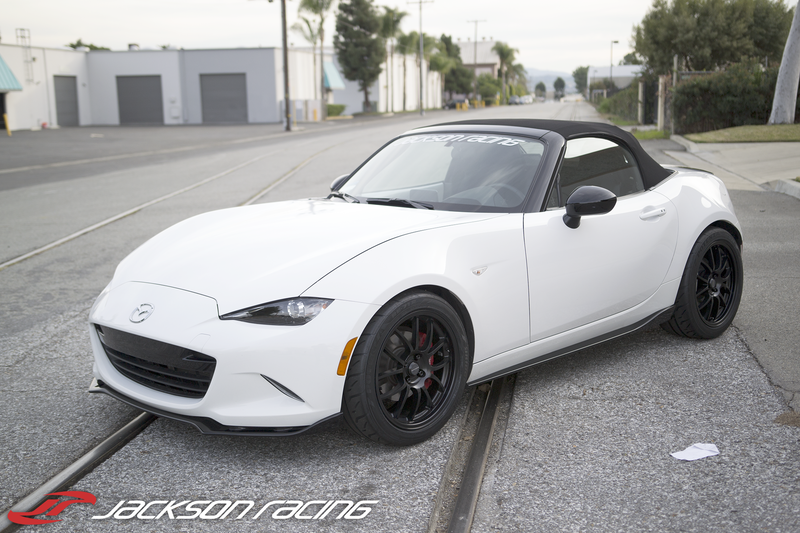 The 6UL is one of the most trusted track wheels in the Miata and Honda community, and now it is available for your FR-S/BRZ, S2000, WRX, NC & ND MX-5 and 2006+ Civic. Offsets for each application were specifically chosen to improve fitment and performance. 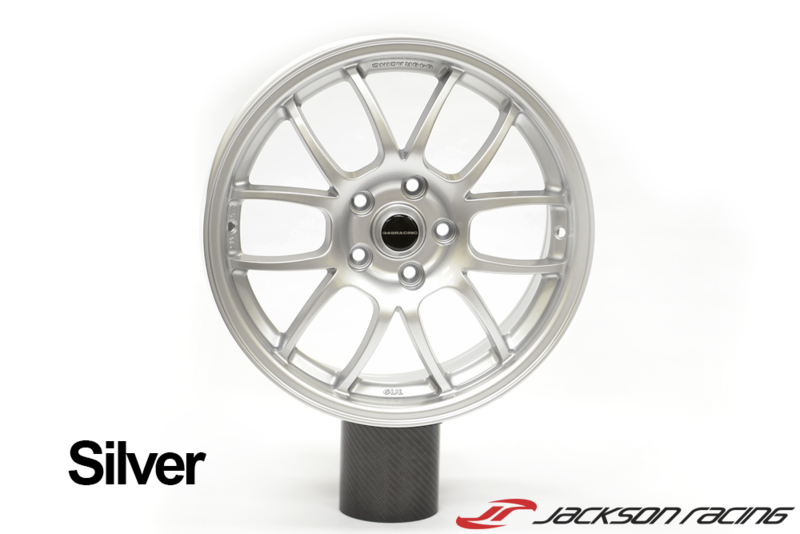 The latest generation 949 Racing 6UL wheel features the same great style of all previous 6UL’s and features a flow formed outer rim barrel for a better strength to weight ratio and lower rotational movement. The entire wheel was redesigned from ground up to further enhance controlled dissipation of loads and increase fatigue life.